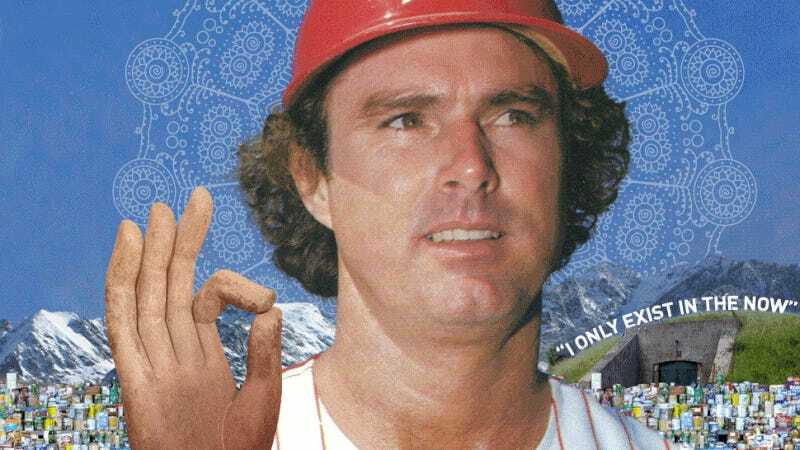 To celebrate Opening Day, dig into our trove of profiles of some of the game’s most enduring characters—from Ty Cobb and Pete Reiser to Doc Ellis and Steve Carlton. Cobb wouldn’t stand for nothin’. If somebody poured ketchup in his coffee, he was liable to pick up the cup and throw it at the guy nearest to him. If you’d stepped on his shine, he’d of probably took the other foot and aimed it at you like he does now at the ball when it’s lyin’ loose on the ground. If you’d called him some name on the ﬁeld, he’d of walloped you with a bat, even if you was his pal. So they was all stuck on him, was they not? When Pete came through the gate he was walking like an old man. In 1941, the Dodgers trained in Havana, and one day they clocked him, in his baseball uniform and regular spikes, at 9.8 seconds for 100 yards. Five years later, the Cleveland Indians were bragging about George Case and the Washington Senators had Gil Coan. The Dodgers offered to bet $1,000 that Reiser was the fastest man in baseball, and now it was taking him forever to walk to me, his shoulders stooped, his whole body heavier now, and Pete just slowly moving one foot ahead of the other. On Wednesday night, May 1, 1974, the Reds were in Pittsburgh. Dock was starting against Cincinnati for the firs time that year. As it developed, he was also starting against Cincinnati for the last time that year. Beginning in spring training, among the palm trees and breezes and gas shortages of Bradenton on the Gulf Coast of Florida, Dock had planned to hit as many Cincinnati batters as possible, when he first pitched against them. He had told some of his teammates, but they were not sure he meant It. Dock loves to sell wolf tickets (“Wolf tickets? Some people are always selling them, some people are always buying them… “) and the Pirate ball club had learned not always to take him literally. The record. Rose mentions it often, just as he adds it as a coda to his signature: “4256,” more career hits than anyone in the history of baseball. He harps on this because he knows that despite “4256" he never reached the Yahwehvian stature of Mays and Mantle and, yes, DiMaggio; unbeloved, he was not even, like the demigods Clemente and Kaline, much admired. Not only did Rose lack the supple arrogance of grace, the titanic strength and propulsive speed, even the innocent exuberance of an aw-shucks kid—he had none of the stuff that drops jaws and warms hearts—but also, and crucially, the little boy inside Pete Rose came off as a runtish bully, the outer man as an imperious lout. What made Rose a great player was an invincible physique coupled with a monomaniacal fervor unseen since the demise of the baseball god most closely linked to him, the shiv-wielding madman whose record Rose chased for twenty-three years: Ty Cobb. Rose grew so obsessed with Cobb that he named his second son, Tyler, for him, and on the night Rose broke the record in 1985, he saw Cobb above the stadium lights, sitting in the clouds. Dead since 1961, Cobb has no bats to hawk, but a huge copper bust of him sits rooted upon a waist-high railing just past the Ballpark Cafe’s hostess station, where the Georgia Peach glares out from eternal captivity into the cafe’s enormous, glassed-in game room. Like Rose, Cobb departed the game not long after he was investigated by the league for wagering on the team he played for and managed. No finding was announced; he simply retired and was in the first group of players voted into baseball’s Hall of Fame at its inception in 1936. Something far worse happened to Pete Rose. Built under the house is a 7,000-foot storage cellar. He’s stocked it with canned foods, bottled water, weapons. “Do you know if you store guns in PVC pipe, they can last forever underground without rusting?” he says. He’s no player, but how could we enjoy Opening Day without an appearance from Bill Murray, expertly profiled by Peter Richmond for The National Sports Daily in 1990? And while we as still basking in the glow of the Cubbies championship, do yourself a favor and check out Myron Cope’s entertaining portrait of Harry Caray. Of course, you’ll also want to listen in to Waite Hoyt telling Babe Ruth stories, Stan Musial teaching us how to hit, and for an Opening Day cut that is out-of-the-ordinary, check out Viva Cepeda by Cal Tjader.